One day a man went to an auction. 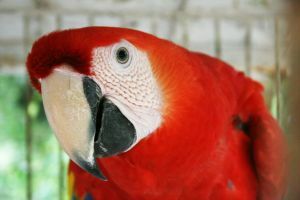 While there, he bid on a parrot. He really wanted this bird, so he got caught up in the bidding. He kept on bidding but kept getting outbid, so he bid higher and higher and higher. "He can talk. Who do you think kept bidding against you?"